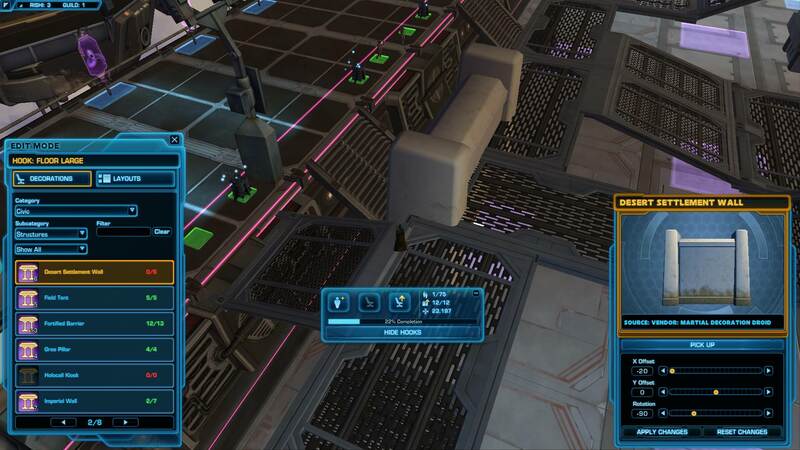 ....Right now, you only need a bronze key to interact with PvP/training dummy terminals. For personal SHs this is fine, for guild SHs this MUST be restricted to silver keys and above. As we already wrote in the previous thread, every guild member automatically receives a bronze key and you cannot prevent that. Most guilds have a Friends & Family or Conquest rank with very loose invite requirements. And these players will easily be able to disrupt any guild event. You must restrict these terminals to silver; bronze is not enough. For the training dummy terminal, bronze keys might be fine. There are no more bugs where you can put other players into combat etc. But for the PvP stuff (starting/stopping matches), a silver key must be required. Spectators cannot see stealthed players. The spectator drone should have a very high stealth detection (60+ meters) so that you can see all players, even if they are in stealth. For PvP tournaments, the commenters need to see when players stealth out and where they are moving to. To ensure there is no potential for stream sniping, only add stealth detection if players have a silver/gold key. I disagree with the suggestion for guild stronghold key restrictions. The guild stronghold key upgrading interface is a little clunky to force guilds to upgrade everyone to at least silver to enjoy the functionality of the stronghold. I think members of the guild can be trusted not to "disrupt any guild event". If they can't be then a guild kick or review of invite polices may be needed. I don't like the idea of giving spectators stealth detection. The possibilities for exploiting and griefing the stealther are to great. I'd be okay with it, I guess, if it was restricted to silver key and above as you suggest, but if that is not possible I'd rather have no spectators get stealth detection then all of them. The Large Training Arena decoration is not centered. I actually need to place it on X=0,Y=-7 so it is centered. You can use Desert Settlement Wall to actually block off the side corridors. You can't fully block it, but enough that it is a detour and forces players onto the ramps. But once you are beyond that part, you can just drop to the floor and walk to the ramp. There's no need to stay on the Large Training Arena. In addition, the Desert Settlement Wall does not fit thematically with the Large Training Arena. 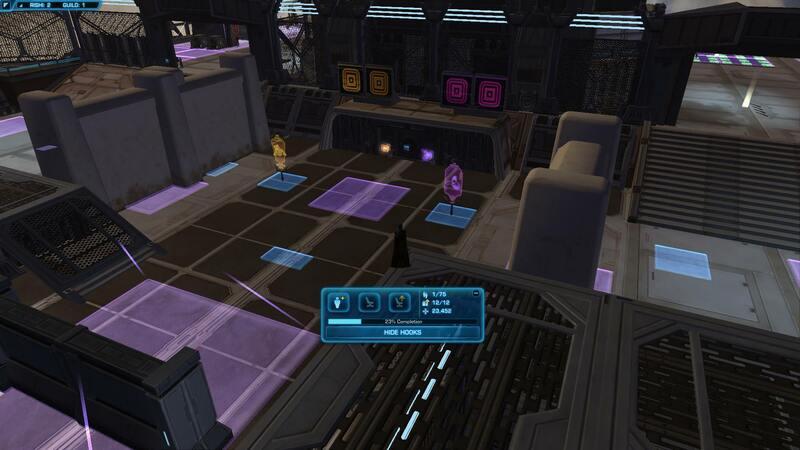 I'm sure that differently themed decorations will be offered eventually, but the Huttball arena should be usable when the stronghold releases, not months later when we got the right decorations. You can't block off the ramps with decorations. The largest decoration, the Desert Settlement Wall, just blocks the front but you can still jump in on the sides. Also, it is so high that it protrudes into the Large Training Arena, which is not acceptable. There are no hooks to add "flavor". For example, I can place some Huttball flags in the endzone, but in the arena itself it is better to use all hooks for walls and barriers and not waste them on pretty flags or signs. Split the orange hook (Sky Deck Arena hook) from the Arena layout into its own layout, so it is always present, and there are no other hooks in this layout. Then add hooks throughout the whole Huttball arena, each with their own layout. For example, you could fill it to the brim with large and centerpiece hooks, that can each be broken down into smaller hooks as well. That way, players have complete freedom to place walls and barriers, and there are still some medium/small hooks available for adding flags and signs. Also add some wall hooks behind the scoreboard and next to the doors/forcefields for additional signage space. As has been mentioned before, the ramps leading to the endzone need to be optional. Maybe add them as a decoration to the Martial Decoration Droid, so players can add them there (and whereever else) if needed. Eventually, there'll need to be a way to put decorations on the Large Training Arena walkways. There were some suggestions previously to add a fire pit decoration, that shoots like 30 meters in the sky. That way, you could place it on the floor and anyone in the walkway above would be killed. The alternative is to add a Z movement to decorations (in addition to the existing X/Y movement). Similarily, you can add a poison pit that does not kill immediately but puts a DoT on players. And of course, eventually there'll need to be some air vents to launch players into the air, similar to normal huttball. 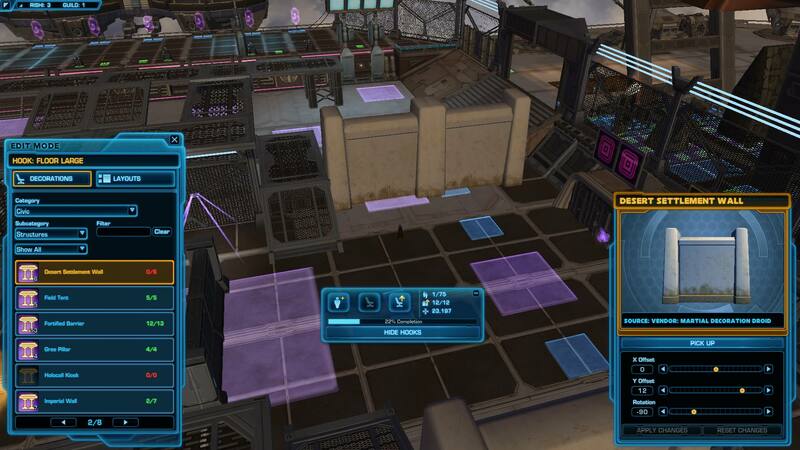 These can be normal decorations, in the Cartel Market if you must, but without them the Huttball arena feels very boring. While I do feel the pain about the guild key interface, this is no argument to allow bronze players to start/stop PvP matches. Players can do everything in the stronghold (use the taxis/elevators, select a team color, spectate matches and use the bolster) without a key. A key is only needed to start and stop PvP matches. While it would be nice for guild members to test the PvP stuff outside of guild events, it is more important to prevent trolls from grieving actual events. 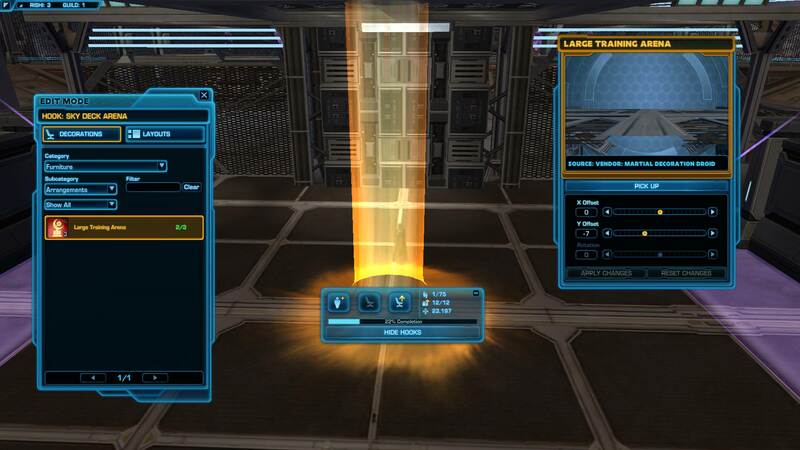 If someone wants to test the PvP stuff, he can ask a GM/officer to grant him a silver key, or he can just purchase the Rishi stronghold themselves. And no, a "review of invite polices" is not the solution. For example, in my guild we have very strict policies for new members (must have interview in voice chat, must have some raiding background/achievements, must have gear and know how to play their class etc. ), yet we still have a separate rank for conquest players. As a large guild, we are usually first place in conquest and we feel more players should have the opportunity to get the rewards. Obviously, players with this rank have no rights for guild bank etc., and will be kicked without hesitation if someone complains about them and they bring a bad name to our guild. I am sure the situation is similar in other guilds. I know that many guilds just invite anyone from fleet without any kind of background check. It is easy to blame guild policies but in reality, the solution is more complicated. 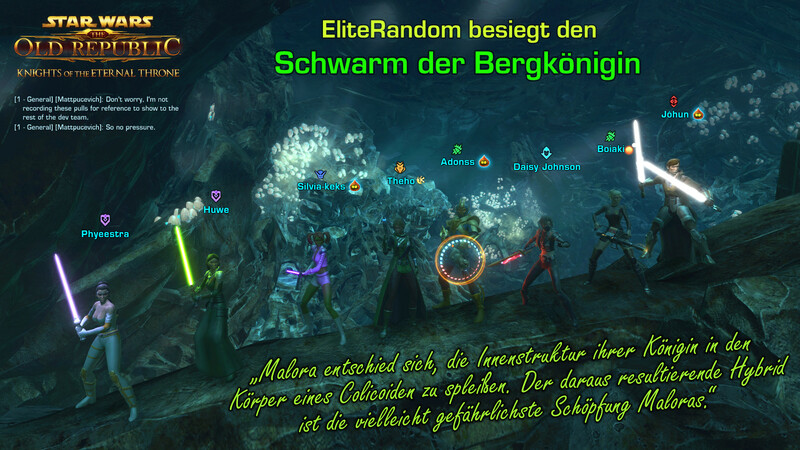 The existing guild ranks are a perfect solution; unfortunately stronghold keys were implemented differently. Maybe the devs can add a button "Give all members of rank X a key of color Y." But even without that, I strongly feel that the PvP stuff must be restricted to silver/gold keys only. Agreed. Stealth detection should only be added if it is tied to a silver key. However, even if it is some amount of dev work to tie stealth detection to a silver key, I feel the work is justified. Spectacting PvP matches is much better if you can see stealthed players. To the devs, please add stealth detection to silver and gold key holders. PvP stims/medpacs were very strange. I was able to use them at the start of the huttball match, but after a while, it was greyed out and using it gave the error message "Only useable in certain PvP areas". I have figured it out; when you die your PvP adrenals/medpacks stay disabled until you reenter the PvP area. Go to the Rishi stronghold. 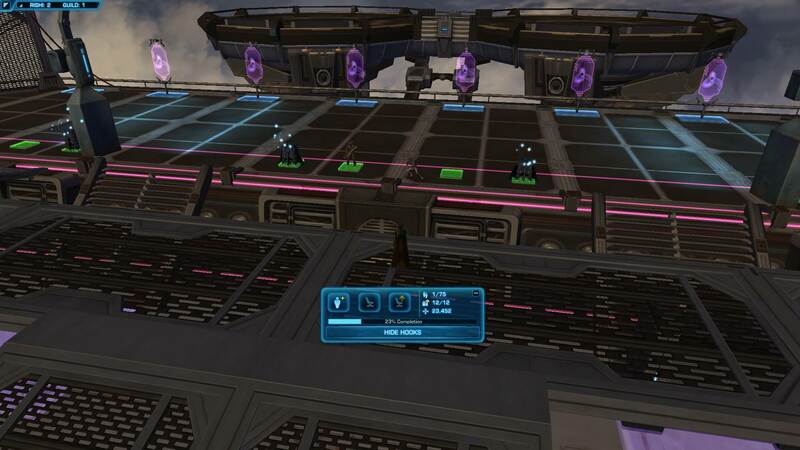 Note how the PvP adrenals and medpacks are greyed out. Enter the Huttball PvP area. Note how the PvP adrenals and medpacks are now usable. Now you have to die, either by being killed by another player or by falling off from the platform. Once you respawn, note how PvP adrenals and medpacs are now greyed out even though you are still inside the PvP area..
You have to actually stop the match, exit the PvP area and go back in, then PvP adrenals/medpack are working again. Can we get a speeder bike point added to the landing of the Overlook? Sorry i disagree. There is no need since you can use the elevator or rappel down. Also it's too close to the platform so a speeder wouldn't make much sense. What if I wanted to quickly go from the back of the Cove area to the Overlook? Those two are the furthest points on the map from each other. Agreed. I'd like them to put quick travel points in, maybe everywhere they have to set new spawn points? But when the fastest way to get around the stronghold by a substantial margin is by exiting and re-entering the stronghold, something probably needs to be done to make that quicker. Fast travel points would be okay, but i'm against placing speeders on the overlook. 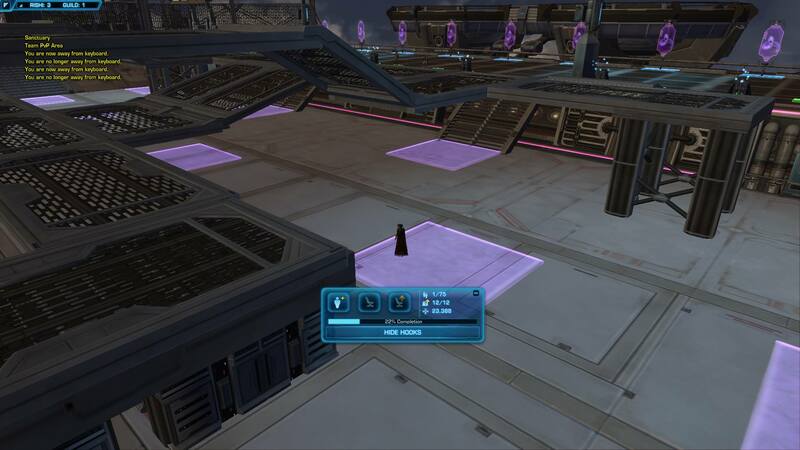 This is an issue that will appear only on PTS for anyone who owned the Rishi Stronghold prior to today's PTS patch. This won't happen on live. You simply have to toggle it on and off a couple of times and it will function properly. Still happens on live and even on the new PTS version.